Winstar Display Co., Ltd., founded in 1998, is a profeshional manufacturer which desings & produces LCD-Liquid Crystal Display modules. The company offers the broadest range of character and graphic LCD modules in a wide range of dot pixel formats and backlight combinations. it's product line includs monochrome TN/STN/FSTN LCD modules, color STN, COG LCD, TFT display, FSC-LCD, E-Paper and OLED display modules. 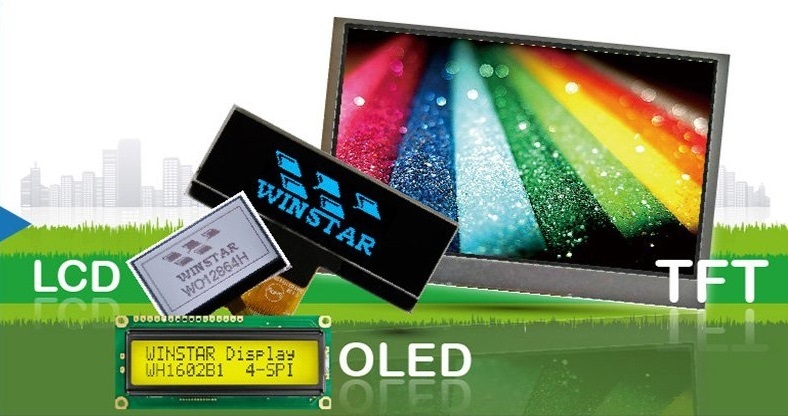 WINSTAR uses the best LCD, IC, and PCB as main materials. Not only Winstar products have the best quality, but also competitive prices and speedy delivery. company's manufacturing process completely follows RoHS and Weee standard since 2006.